A number of talented photographers have made Crested Butte their home. They have been generous enough to contribute photographs for your viewing pleasure. Click on any photo to view an enlargement and more information. 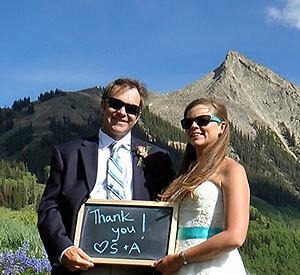 is a professional videographer specializing in wedding, events, and more in Crested Butte, Colorado.